Scottsdale, Ariz., – (December 8, 2016) Digital Air Strike™, the leading social media and digital engagement company, won its second Red Herring Top 100 Global Award, presented recently at an awards ceremony in Marina del Rey, California. The company joins an elite group to have won the Global Award two years in a row. Digital Air Strike is also a two-time winner of the Red Herring Top 100 North America Award, having received the honor in 2015 and 2016. Only two percent of winning companies have ever won both the Red Herring North America and Red Herring Global awards two years in a row. Having won previously for its expertise in serving the automotive industry, this year Digital Air Strike was recognized for its continued growth and innovation in the automotive vertical and the extensive demand from many emerging markets in 2016 including those overseas. The Red Herring editorial team selected the finalist companies from thousands of entries and 40 countries that demonstrate the most innovative technologies and business models. The winners are chosen based on a range of qualitative and quantitative metrics, including but not limited to, technology innovation, financial performance, growth criterion, management’s execution standards, potential globalization of the strategy, and market share improvement. 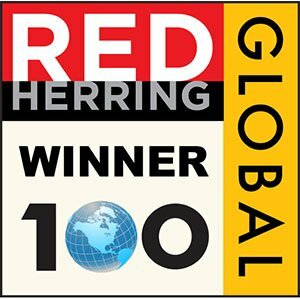 The Red Herring 100 Awards are considered one of the technology industry’s most prestigious honors. Previous winners of this award include world-renowned companies such as Google, Facebook, Twitter, Yahoo and eBay, as well as China’s Alibaba and Baidu. Digital Air Strike is ranked in the top third of all Inc. Fastest-Growing Private Companies in the country; was named the 2016 #1 Social Media Marketing and Interactive Marketing Firm, won the 2016 and 2015 Red Herring North America Top 100 award and the 2015 and 2016 Red Herring Top 100 Global award, won a Gold American Business “Stevie” Award for Management Team of the Year, won the 2015 People’s Choice Award for Product of the Year, is one of the Top 10 Most Interesting and Innovative Automotive Companies, and was awarded the #1 Dealers’ Choice Award for Reputation Management and for Digital Marketing. More information is available at www.digitalairstrike.com and www.facebook.com/digitalairstrike.